This is a personal message from KK. It’s Tiny Toones’ 10th year of working in Cambodia’s toughest communities with its poorest kids and there have been beautiful things happening, like our big birthday party. But we also want to be real with you about our current situation. We are struggling to pay our teachers, the heart of everything we do, and we need to take positive action to fix that and secure our future. We want you to be part of that future. Just $10 a month is enough to pay one of our teachers for a day, who then go on to educate 40 or more kids. Where else can you get that kind of return on investment? If we can sign up 100 of you by the year’s end, that’s at least $1,000 a month – which will cover all our teachers’ basic salaries. If you already give every month you are already a member of the club! If not, please consider joining. Why do we need to launch the 100 Club? Most of you know what a small NGO we are, and how low our costs are. But did you know that they are around $70,000 annually? That’s the money for everything – including the rent on our centre, teachers and administration staff – and it’s lower than what some large NGOs might pay a single foreign employee here in Cambodia. In many ways, we like this. 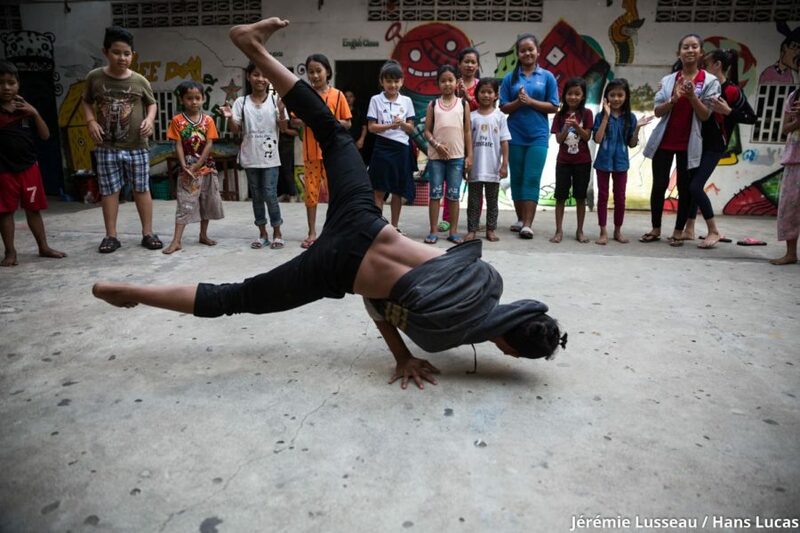 What we offer – dance training to engage and motivate kids who nobody else can reach, and a basic education to help them rejoin the public school system – doesn’t need to cost hundreds of thousands let alone millions of dollars here in Cambodia. Keeping our costs low means we have to stay laser focused on sticking to what we do best, which is creating a safe and creative space for kids, where they get support and schooling. Not being funded by Government or major institutions means we can reach kids who might otherwise not “qualify” for NGO support, because their families are too chaotic to have the proper paperwork, or are assessed as too dysfunctional. But the low costs mean we don’t have a huge team of fundraisers and marketers out there to raise cash for us, unlike many NGOs. Our total investment in all communications and fundraising last year was less than $200. Our fundraising and marketing staff for the last year has been a single volunteer, who also has a full time job. And that makes it difficult to compete for funding. We have been incredibly fortunate this year to receive a grant from the Kavli Foundation, which has paid for the rent on our centre and some other core infrastructure costs. That’s allowed us to focus on our teachers. We need to pay our existing teaching staff, who are already teaching more kids than they should (the total needed is $3,060 for the rest of the year). If we can do that, we need to recruit 3 more teachers, to give our kids an even better chance at catching up on the education missed (that’s $2,700). And if we can do that we hope to increase all the teachers’ salaries by a small amount, after years where they have stayed the same and we have become less competitive with other NGOs. We have managed to keep going for ten years through the last minute generosity of good friends and individual donations. Now we are looking to create a new more stable future. We are revamping our social enterprise, The Cool Lounge, in order to bring in revenue, and we are looking for further grants. But nothing will bring us greater security and ability to plan ahead than 100 regular givers. If you can afford it, we love you and we appreciate you. If you can’t, we love you and we understand and if you ever find yourself able to afford a one off donation, that also helps us enormously. Check out our donations website here. We have lots of exciting things planned and can’t wait to get started, with you on our side. 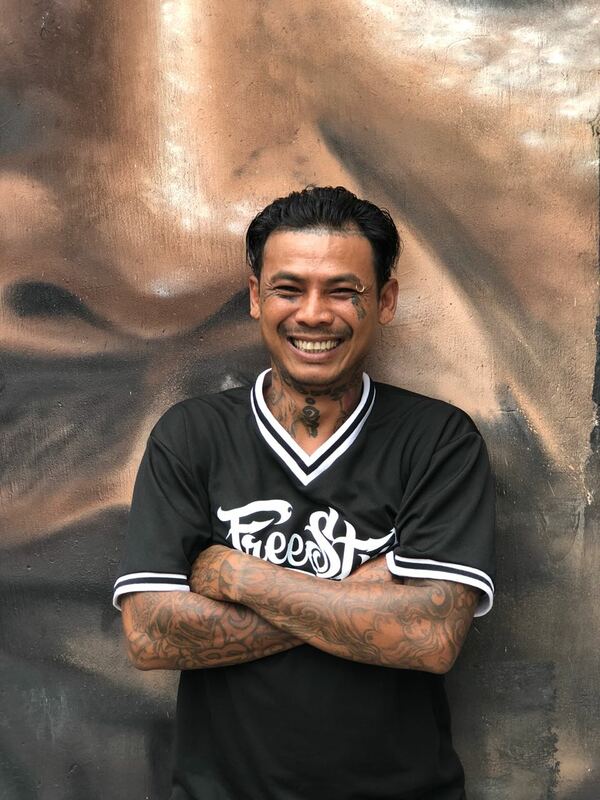 On June 30th, Tiny Toones will celebrate its 10th Birthday with an explosive afternoon of creativity, dance, DJing, live graffiti and massive performers from some of Cambodia’s most exciting stars. Everyone is invited to attend this free event at Factory Phnom Penh, from 12-6. To find out more and sign up to attend, go HERE. Performers, dancers, DJs and artists confirmed include superstar Nikki Nikki, the Tiny Toones Crew, former student turned rapper Sang Sok Serey, KlapYaHandz, 12me, Kreative Kings, Khmer Thorsue, DJ Cake, DJ Niko Yu, DJ Jay, DJ Shadow, DJ B-Roc, Kbach Crew and more special guests. 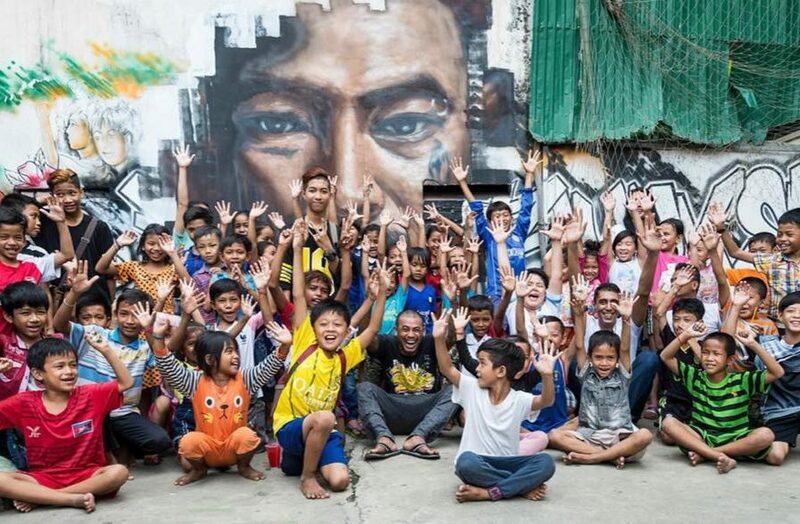 In June 2008, Tiny Toones finally moved out of founder Tuy “KK” Sobil’s cramped apartment and set up its first real centre in the community, where it began offering disadvantaged and marginalized kids education alongside the breakdancing lessons which had made it locally famous. Its aim was to turn kids away from gangs, drugs and crime, and towards education and a better future. Ten years later, Tiny Toones has reached over 15,000 kids, and educates more than 100 a day at its centre. 80% of its students, many of whom had dropped out of school or never been, return to public school. 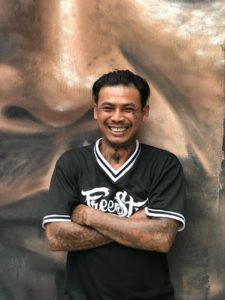 96% have gone on to meaningful employment, thousands have successfully stayed away from drugs and crime, and many have become celebrated rappers, dancers and artists shaping Cambodia’s creative culture. Tiny Toones is delighted to announce that it has secured a grant from Norway’s Kavli Trust which has the potential to transform its work bringing education to Cambodia’s most disadvantaged children. The year long grant will be invested in Tiny Toones’ vital infrastructure, namely its education centre and its transport services, enabling the organization to provide a safe and supportive environment for children to learn, and the means by which to transport them from some of the most deprived slum areas of Phnom Penh. Indeed, the grant comes in the year when Tiny Toones marks its tenth anniversary of running a centre where kids from disadvantaged backgrounds can come to be safe, be creative and be educated. Having a centre has been crucial to Tiny Toones’ successes, but is difficult to fundraise for through traditional means – infrastructure is not typically exciting for individual donors, even though it is crucial to NGOs. That challenge is why Kavli’s support will have such an impact, freeing Tiny Toones from a funding stress that has taken huge amounts of valuable management time away from core creative and educational work. A small portion of the grant will also be invested into Tiny Toones’ fundraising capacity, providing a path towards greater future financial sustainability. All of this means that the organisation will now be able to focus on its development into a new era of excellence, sustainability and forward-thinking. To learn more about the grant and about the wonderful Kavli Trust, please go here. Good news is rare these days, but here’s some – the Huffington Post names Tiny Toones as one of the top 7 charities doing great work in Cambodia, in a newly updated feature. The piece recognises the fact that a very tiny number of NGOs in Cambodia have unfortunately brought others into disrepute, through dishonest practices. Tiny Toones has always believed in the importance of honesty, transparency and financial responsibility – for one thing, it’s the only way to keep the trust of your supporters in the long term. If you want to support our ongoing work, we appreciate every single cent. You can donate or read more right here. Thanks Huffington Post, and all our supporters. This is the moment we’ve been waiting for, the chance to share a fascinating in-depth documentary with you. 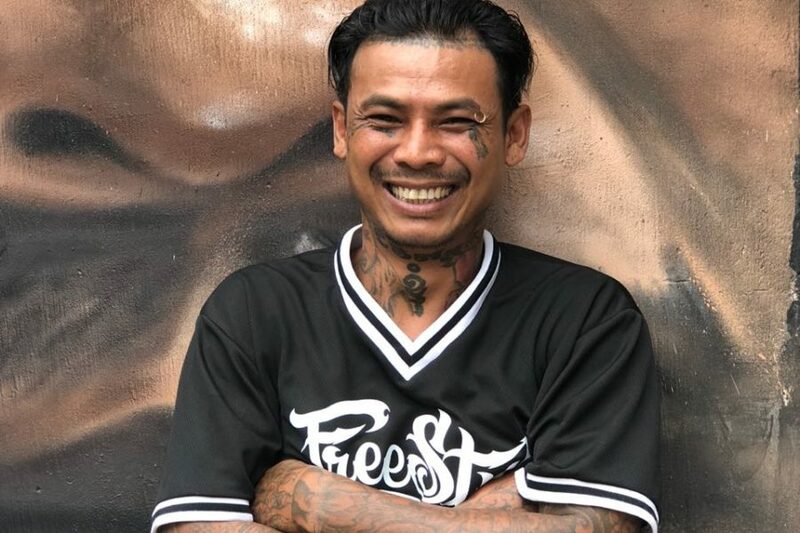 Producer Loh Kok Hong and presenter Fadli Kamsani came to Phnom Penh, and spent a lot of time getting to know Tiny Toones. The result is this amazing piece of work we feel really captures what we are all about. The documentary was recently fetured on Singapore TV, but we’re now releasing it in Cambodia for the first time. It features amazing dancing, behind the scenes footage, and lengthy interviews with founder KK and teacher/ dancer Slick. It’s got a lot of heart and a lot of energy, which is also the magic formula behind Tiny Toones. 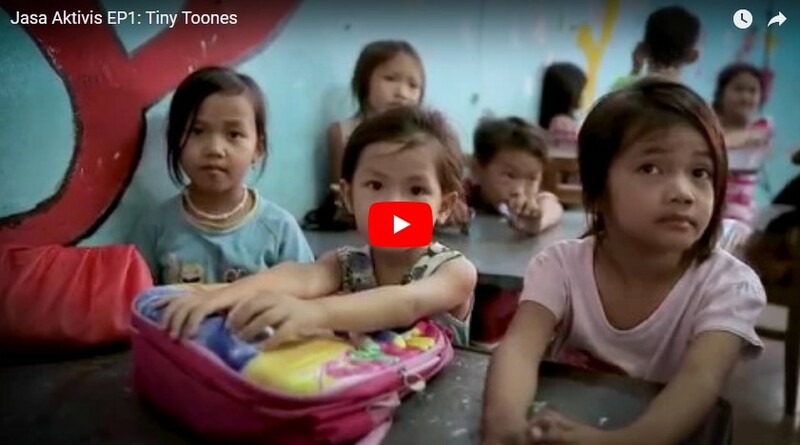 You’ll see what fun the kids have at Tiny Toones, but also how happy they are to get a chance at an education, and just how profoundly that can turn their lives around. You’ll see Slick’s journey from despair to hope, but you should know that hundreds of our kids take that same journey. We do need your support to make this happen. Every year funding is a battle for us, and 2018 is shaping up to be the same. Remember, just $10 will pay one of our teachers for a day, while $30 will pay for a child’s entire education for a month, in dance and more traditional subjects. Where else can you get value like that? If you can afford to donate, please go here – we’d be really grateful. If you simply can’t afford to give right now, we totally understand, but do go to our Facebook and follow us so you can keep hearing our stories. In the meantime, hit play and enjoy the show.